This weekend’s UFC 236 card sees two interim title fights at the top of the bill. The first one to go down will be between middleweights Israel Adesanya and Kelvin Gastelum. The path to this match up has been a bit wild. 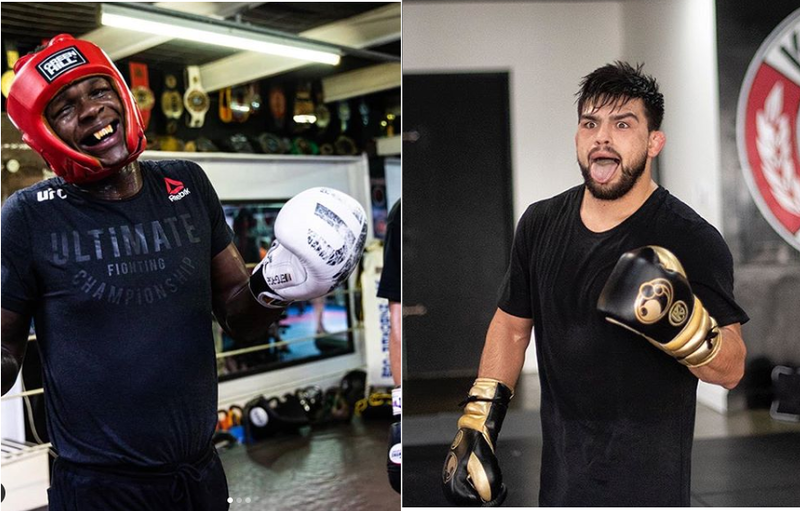 Originally, Gastelum was scheduled to face UFC Middleweight Champion, Robert Whitaker at UFC 234. However, when the Australian was forced to pull out at the eleventh hour due to a hernia, the co-main event was bumped to the main event slot. This was a bout between GOAT Anderson Silva, and hot prospect Israel Adesanya. Adesanya was coming off of a win over Derek Brunson, and this would be his biggest fight to date. Subsequently, he would go on to beat “The Spider” over three rounds of action, to win on the judge’s scorecards. These events paved the way for a fight between Adesanya and Gastelum for the interim title. However, leading into this fight, Adesanya already believes he is the best for beating Anderson Silva. He said as much in a pre-fight interview, after the open workouts. On the other hand, Gastelum disagrees, as he made clear in his open workout interview. In addition, Gastelum said that from his cageside seat, he was not impressed. Catch Israel Adesanya and Kelvin Gastelum face off this Saturday, as the co-main event of UFC 236!